This Tutorial will explain how to make a simple 2D Snake Game in Unity. 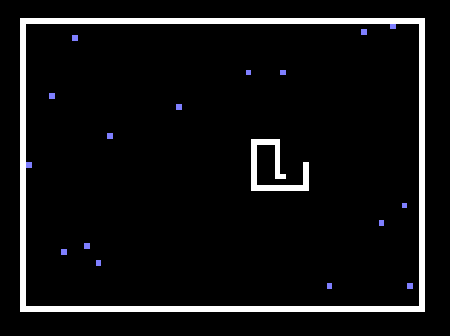 Snake is an arcade game that was created back in the 1970's. And like most arcade games it's still a whole lot of fun and easy to develop, which makes it a great game for a Tutorial. Our Tutorial does not require any special skills except some knowledge about the Unity basics like GameObjects and Transforms. Even if you don't know those concepts yet, the Tutorial should still be doable. 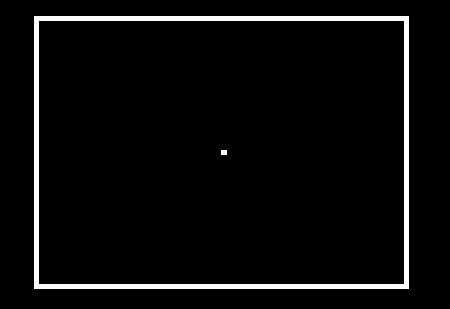 Feel free to read our easier Unity Tutorials like Unity 2D Pong Game to get used to this amazing game engine. Our Snake Tutorial will use Unity 5.0.0f4. Newer versions should work fine as well, older versions may or may not work. The free version of Unity 5 now comes with all the engine features, which makes it the recommended version. Note: Size is pretty much the zoom factor. Note: right click each link, select Save As... and save the images in the project's Assets folder. Note: Pixels Per Unit is the ratio between one pixel in the image and one unit in the world. The Snake will have a size of 1x1 pixel, which should be 1 unit in the game world. This is why we will use a Pixels Per Unit value of 1 for all our textures. Note: the horizontal border image is used for the top and bottom borders. The vertical border image is used for the left and right borders. And that's all there is to it. We just created the borders for our game without writing a single line of code, thanks to this powerful game engine. Note: right click on the link, select Save As... and save it in the project's Assets folder. The Snake should receive some kind of information whenever it collides with food. This means that the food has to be part of the physics world, which can be done with a Collider. A GameObject without a Collider is just a visual thing, its not part of the physics world. A GameObject with a Collider is part of the physics world, just like a wall. It will cause other things to collide with it, and it will trigger the OnCollisionEnter2D event. 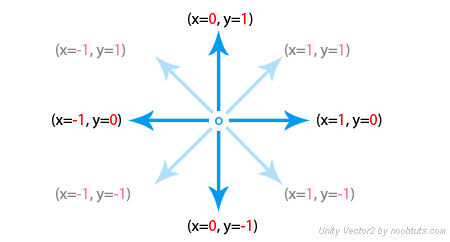 A GameObject with a Collider that has Is Trigger checked will not cause other things to collide with it, but it will still trigger the OnTriggerEnter2D event. 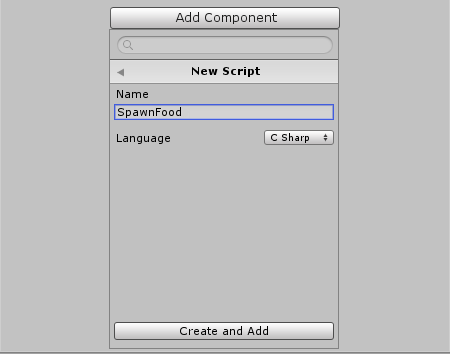 Now we can delete the FoodPrefab GameObject from the Hierarchy, because we don't want it to be in the game world just yet. Note: they are already of type Transform so we don't have to write borderTop.transform.position all the time. Instead we will be able to access their positions like borderTop.position. Note: x and y are rounded via (int) to make sure that the food is always spawned at a position like (1, 2) but never at something like (1.234, 2.74565). Note: we can drag something into a Script's variable by literally dragging it with the mouse from the Hierarchy or Project Area into those slot things that can be seen in the above picture. Note: the Collider has the size (0.7, 0.7) instead of (1, 1) so that it doesn't collide with other parts of the snake that are right next to it. We simply want to give Unity some space. The Rigidbody's Gravity Scale is 0 because we don't want the snake to fall towards the bottom of the screen all the time. The Is Kinematic option disables the physical behavior of the Rigidbody, so it doesn't react to gravity or collisions. We only need to know if the snake collided with something. We don't need Unity's physics to push things around in case of collisions. More info: Rigidbody2D Unity Docs. The only difference between the Tail elements and the Head is that the head does all the thinking. We will add a Script to it later. 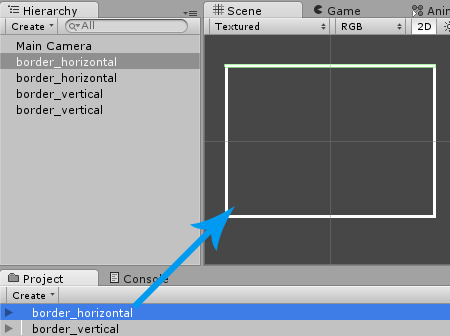 Note: some Unity versions will automatically rename GameObject in the Hierarchy too, so make sure that the one in the Hierarchy is still named Head. Note: transform.Translate means 'add this vector to my position'. // Move in a new Direction? Note: if you are not sure why we used Update and Move instead of just Update or just Move, feel free to put the code from Move into Update or the code from Update into Move, then you will see that the snake moves rapidly fast or that the key presses are detected only rarely. Now that sounds like an easy algorithm. In every movement call, all we have to do is move the last tail element to where the head was before. Note: it's really important to add 'using System.Collections.Generic;' and 'using System.Linq;' to the top in order for lists to work. // Do we have a Tail? Note: Translate simply means 'add this vector to my position'. Afterwards we check if there is anything in the tail list, in which case we change the last tail element's position to the gap position (where the head was before). We also have to keep our list order, hence the Insert and RemoveAt calls at the end. They make sure that the last tail element is now the first element in the list, too. 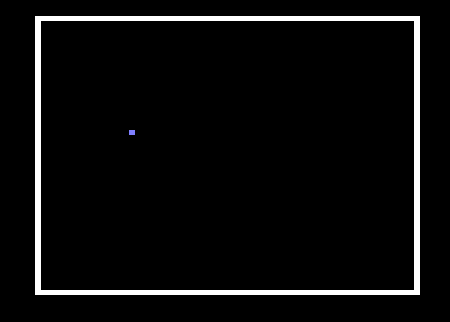 And that was the only slightly complicated part of our Unity 2D Snake Tutorial. Now we are almost done. We will use the OnTriggerEnter2D function to receive collision information (which will happen whenever the snake walks into food or into a border). // Did the snake eat something? Note: the two variables are defined at the top of our Snake script. Note: we use coll.name.StartsWith because the food is called 'FoodPrefab(Clone)' after instantiating it. The more elegant way to find out if coll is food or not would be by using a Tag, but for the sake of simplicity we will use string comparison in this Tutorial. Note: all we did was check if ate is true, then Instantiate the tail prefab at the position v with the default rotation (Quaternion.identity). Afterwards we add it to the tail list and reset the ate flag. The rest of the code was already there. Snake is one awesome game for a Unity Tutorial. 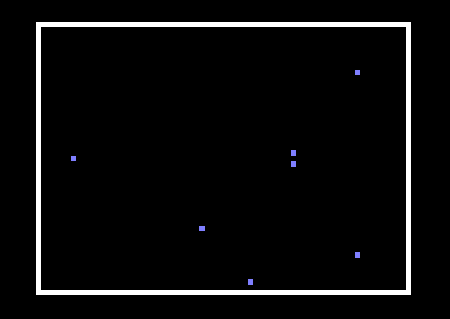 There is a lot of value in understanding how to do pixel exact games like this and how to add movement with InvokeRepeating. Yet again we saw how amazingly easy 2D games are with Unity's 2D features that were introduced not very long ago. Now it's up to the reader to make the game fun! There are tons of improvements to be made like a win/lose screen, a better looking snake texture, multiple levels, power-ups, increasing speed, high-scores, multiplayer and so on. The Unity 2D Snake Tutorial source code & project files can be downloaded by Premium members.